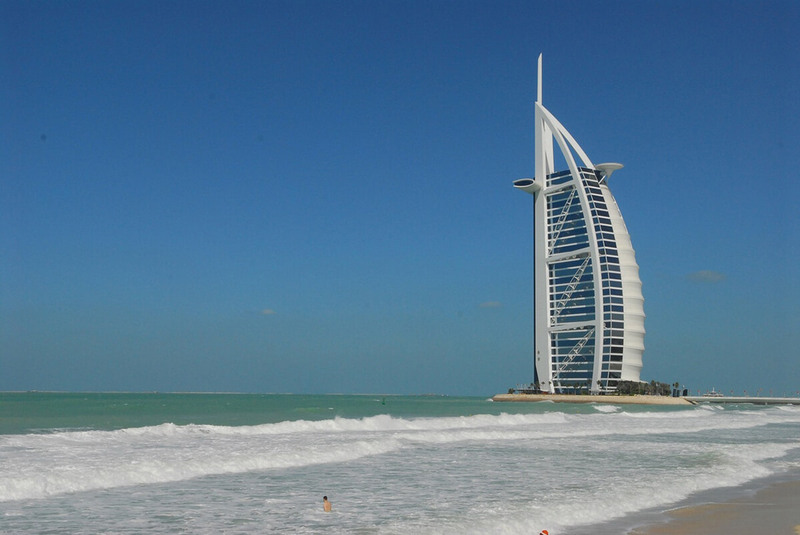 What Are The Changing Trends In The Real Estate Industry Of Dubai? Home Events What Proptech Could Bring To A Smart City Like Dubai? 21st-century technology is bringing about a game-changing transformation in every field of business including retail, healthcare, finance, and aviation. The next player in the field is the real estate sector that is exploring new ways of making property transaction a seamless journey and is taking advantages of the recent developments in the digital technology. This is what has given birth to a newly arrived word called ‘proptech’ or property technology. Proptech is gradually growing in the real estate space around the world. 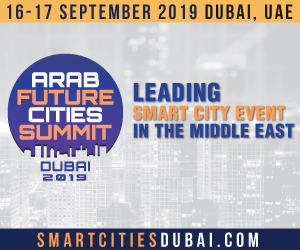 And more specifically it is gaining significant popularity in smart city Dubai where the quest for innovation and new technology to make the city a happier place to live in is always on the rise. It is predicted that proptech can have a huge impact in the middle east by the way real estate transactions will be conducted in the future. Hence to explore the potential ways and overcome the challenges lying ahead in the real estate business, the middle east is bringing home one of the leading property technology events, the Proptech Middle East 2018. The event welcomes property and real estate professionals from around the world to share their knowledge and the visions of the future and to discuss the growing technologies that are set to give a new shape to the real estate industry of tomorrow. The stimulating event will be held at Sofitel Dubai The Palm Resort & Spa in Dubai, UAE from 29th October to 30th October 2018. Whether you are a property buyer, a seller or a mediator, this event and the facts discussed below are sure to transform the way you perceive the concept of real estate. Proptech trend has become popular in Dubai mainly due to the Smart Dubai initiatives taken by the UAE smart government. This smart city department has showcased substantial efforts in stimulating the trend in Dubai Land Department (DLD) and its Real Estate Regulatory Agency (RERA). Further adding weight to the efforts, these government entities have developed tools such as Investment Map portal that provides investors and businesses real-time information on real estate investment projects. Another development in the form of Trust Account System app helps in managing the registration of the developers and Ejari, a lease application and management app enables the completion of the process with real transparency and flexibility. Apart from the government, even the private sector is participating in this technological transformation by creating smart property listings, marketing platforms, mortgage comparisons along with links to online brokers and online real estate data analytics sites that help property buyers make informed decisions. Real estate websites in UAE including Dubai are using the latest technology to make purchasing process much more efficient than ever. 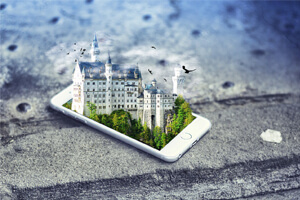 They are using virtual reality, blockchain, drones and big data to make each stage of property purchase from selection to the final transaction a seamless journey. Many real estate businesses offer a gallery of computerized photos of the final built product of an off-plan project making the buyer’s VR experience more exciting. With the application of VR, a homebuyer can be at two places at the same time without having to travel to the actual place. Virtual reality makes it possible for the buyer to feel the real dimensions of the house and get a clear sense of having walked the property. Application of drones in real estate will be a revolutionary turn. The flying vehicles have the potential to carry out an effective property survey and measure the lands that are difficult to reach. Additionally, drones can enable development of detailed 3D maps and models of the property by measuring the real size of the entire land. Hence, with the use of VR, drones, blockchain (discussed further) and other advanced applications in purchasing or selling a property can be done within a few days as against the traditional practice that takes months together to finalize a deal. Interactive Panel Discussion: The Impact of Blockchain – Positive or Negative? The development of blockchain technology in real estate sector is being witnessed from 2016. A number of countries such as Georgia, Sweden, Honduras and Ukraine have announced pilot programs in the same context. Even in Dubai, blockchain is gaining a traction increasingly. Dubai’s smart city initiative called ‘The Dubai Blockchain Strategy’ will be opening gateways for the economic opportunity in Dubai. As per the plans laid by Smart Dubai Office (SDO), blockchain technology will be used for all the government documents by 2020. This initiative is particularly more significant for the real estate industry in the region. Blockchain will stand as the center in the real estate sector due to its impact on every transaction. Blockchain will shift real estate from tiresome paperwork to easy and efficient paperless transactions. Anybody from anywhere around the globe will be able to secure documents without having to meet in person. For example, a buyer from the US could review a complete file of documents of a property in UAE on a property’s ledger in one go without the need to fly down to UAE. Smart Contracts – smart contract is a blockchain-enabled self-executed code. Smart contract is the perfect solution for the management of transactions in real estate where there is lack of trust in sales, mortgages, and leases. In a smart contract, the conditions of the deal will be written in the form of code and a blockchain ledger that will be depicted above the multiple ledgers that are existing. 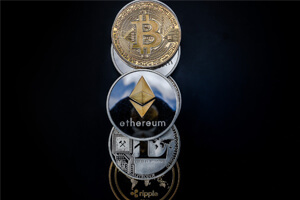 Initial Coin Offerings (ICO) – ICO is an event when Bitcoins or Etherium referred as coins or tokens are generated and a part of them is sold. The growing demand for such tokens is giving a push to this trend. Hence, if real estate is tokenized, it may help property financing to democratize and make the real estate assets more tradable and divisible. A token could be used to represent a share of a company, a service for property management or it could also be used for security purpose. Nevertheless, to introduce security tokens in Middle East region, the authorities need to provide a legal opinion on how to treat different types of security tokens. Just as recently executed by the US and Singapore government. In addition to the advantages of blockchain in real estate, there are a few limitations like scalability, time of the transaction, and cost per transaction which may come along the way. For example, the transaction time of Bitcoin is 8 to 12 minutes whereas for Etherium its 12 to 17 seconds which limits the time to make a transaction. Despite certain limitations of the blockchain, the technology is deemed to be most appropriate for real estate transactions. For the same, the interest for blockchain-enabled solutions is growing in the UAE. More about how VR, drones, artificial intelligence, big data, and blockchain will impact the real estate sector will be discussed at the Proptech Middle East Summit 2018. The event will take you through a more insightful journey on how will proptech shape the future of real estate in future. Previous articleHow Is Kenya Reaping Multiple Benefits From A Single Tree?